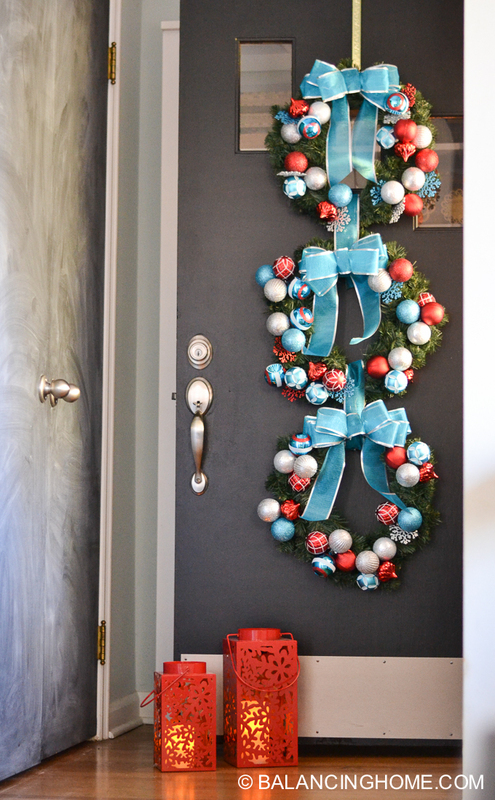 This DIY wreath trio makes such a great statement and it is pretty easy to make. 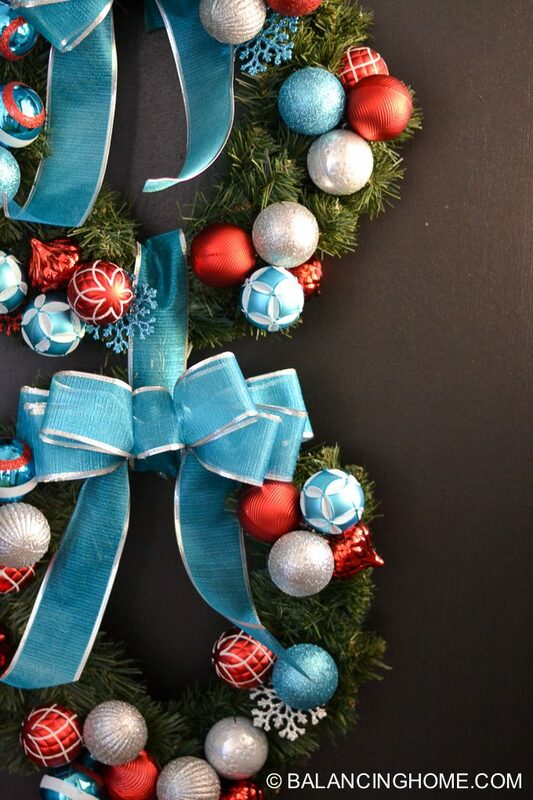 You can buy an already decorated wreath to make it a super simple and quick project or customize it. This was my Home Depot haul. 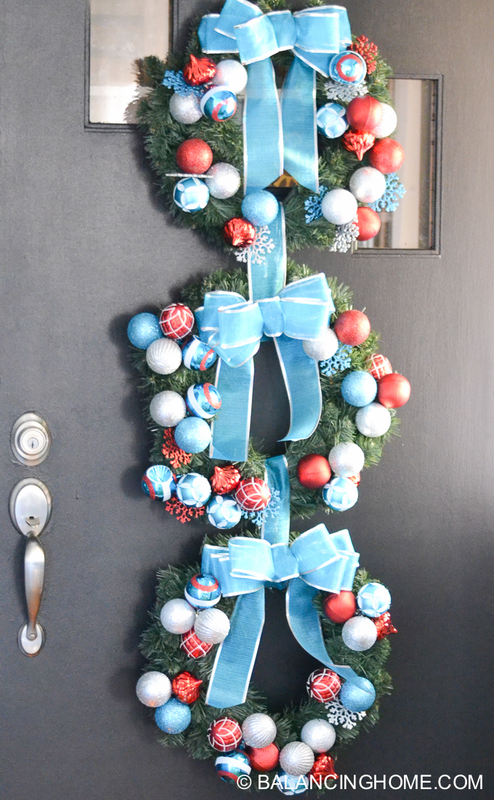 I used the wreath hanger, ornaments, hobby wire, ornament hangers, ribbon, and scissors to create this DIY wreath trio. 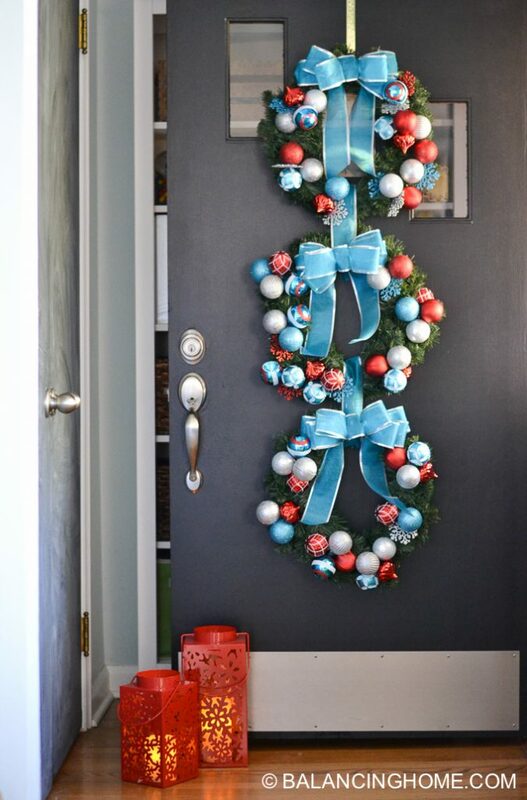 I started this project by removing the red ribbons that were on the wreath, since I was planning to use the beautiful ribbon I found at Home Depot. 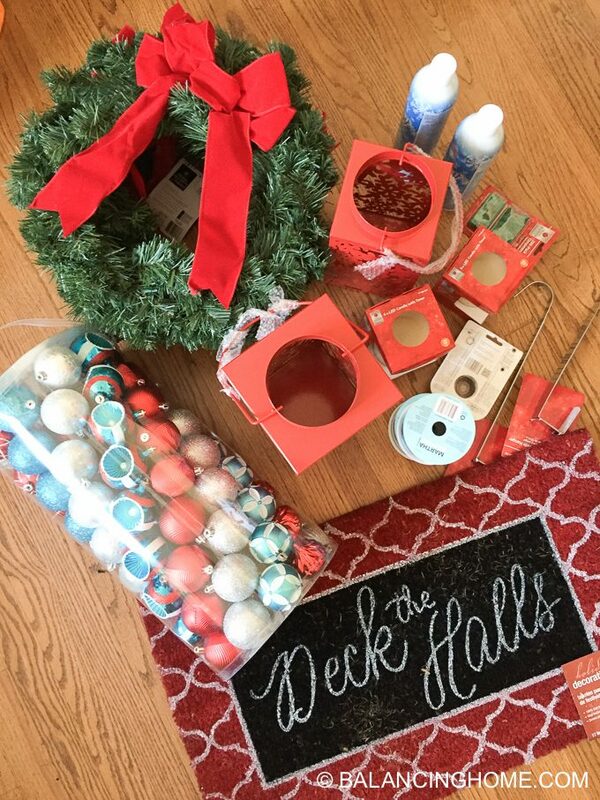 I then laid the wreaths out on the floor (upside down) a few inches apart. 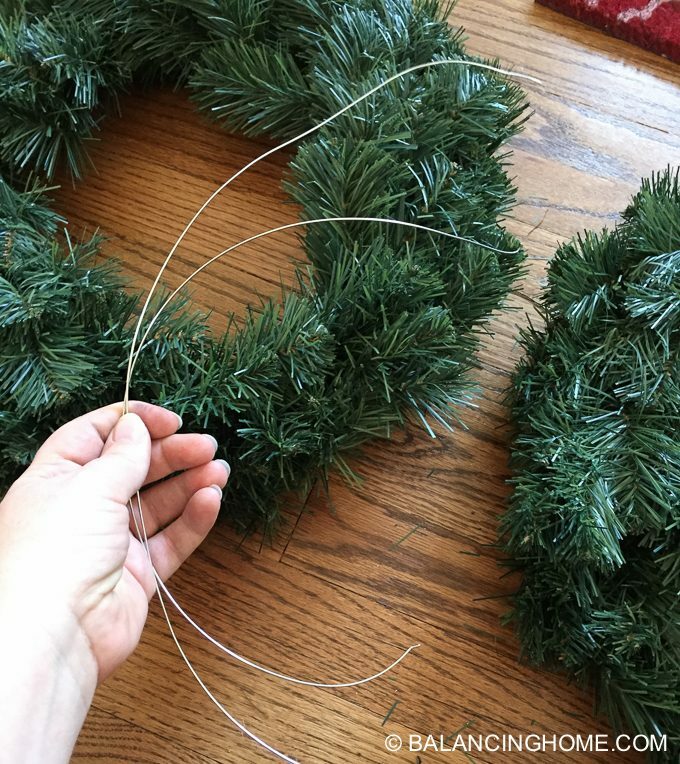 I cut the hobby wire long enough to wrap around both wreaths and twist tie. 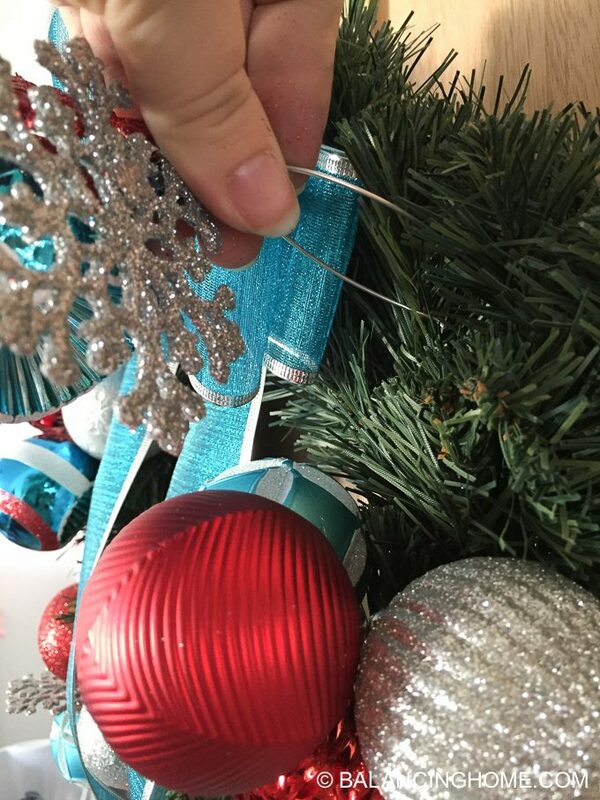 After attaching the wreaths with the wire, I cut the ribbon and tied it around the wreaths (covering the wire) and making a knot in the back. 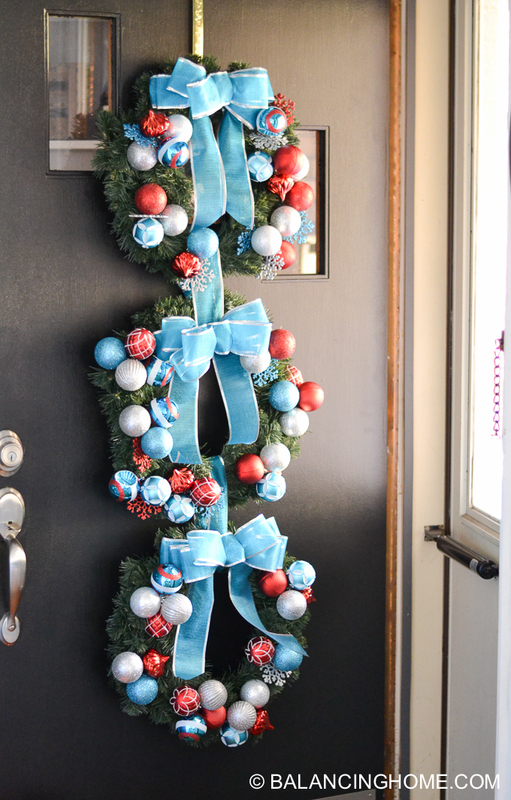 Then I flipped the wreaths to work on the front. 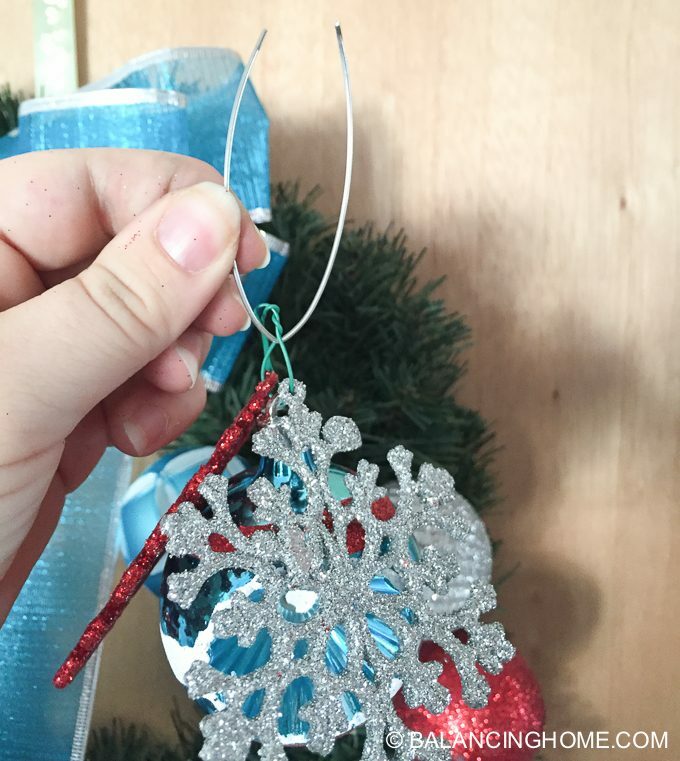 I made the bows and attached them using more hobby wire. 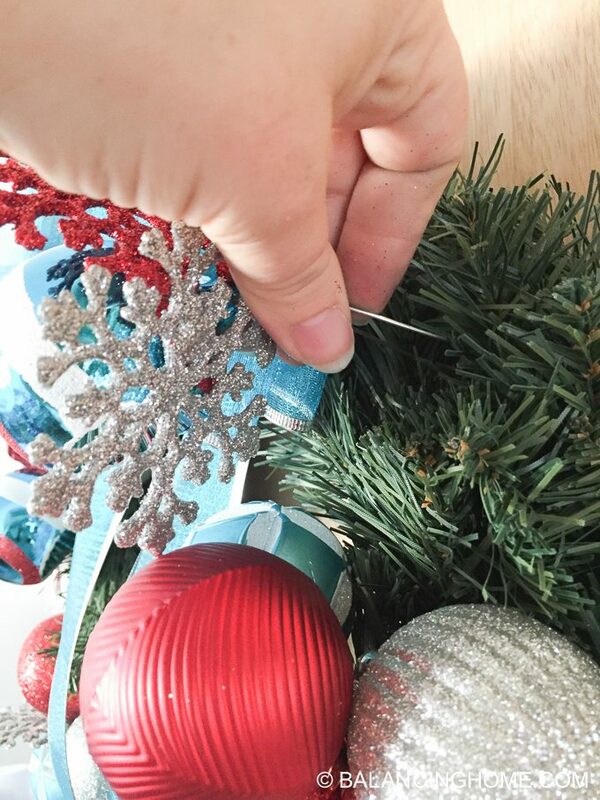 To attach ornaments to the wreath I made little ornament clusters. 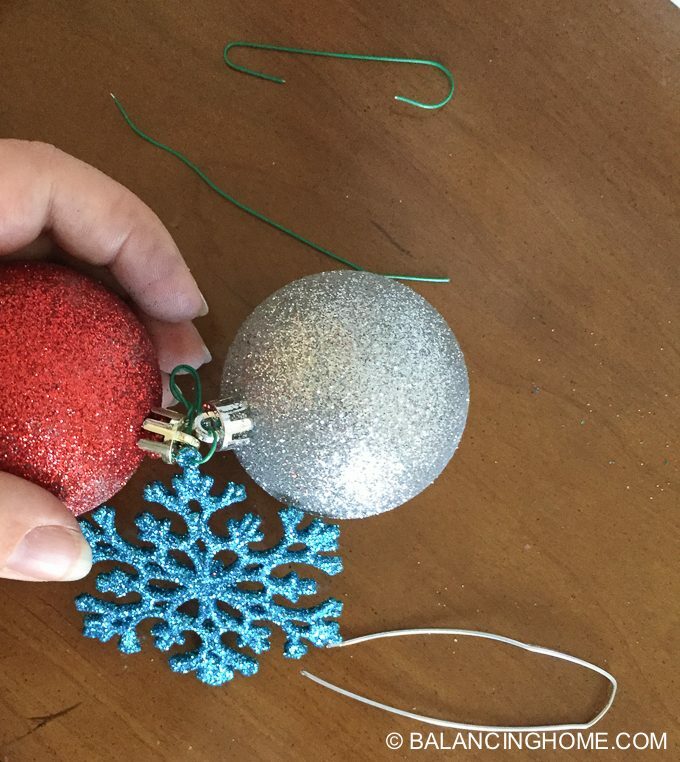 I straightened the standard ornament hangers (they are real flexible so that was easy peasy) and used them as a twist tie to create ornament clusters. I then cut the hobby wire and bent it in half. I fed the hobby wire through the twist tie on the cluster. 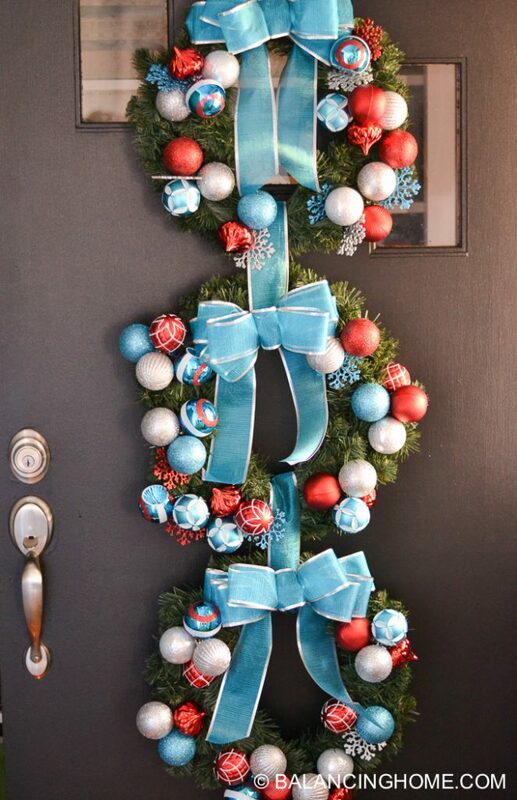 Then I fed the hobby wire through the wreath, twist tying it in the back. 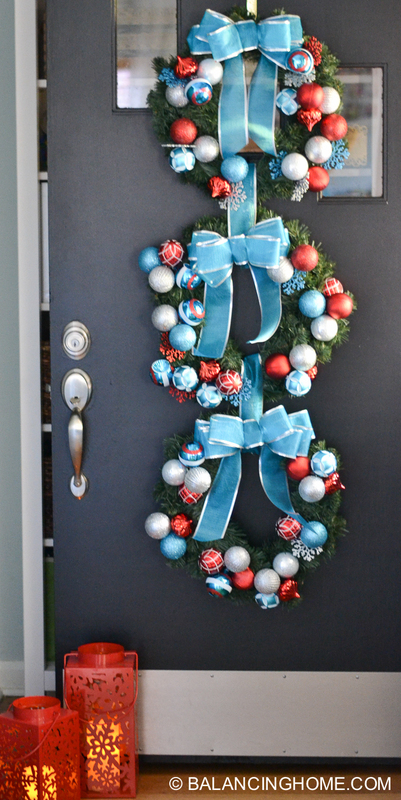 If you are looking for one project to do this holiday season, this wreath trio will definitely give you a lot of bang for your buck and instantly make a statement. And yes, (long-time followers) I simply couldn’t pass up a chance to grab paint while we are at Home Depot and the front door and shutters got a coat of paint. 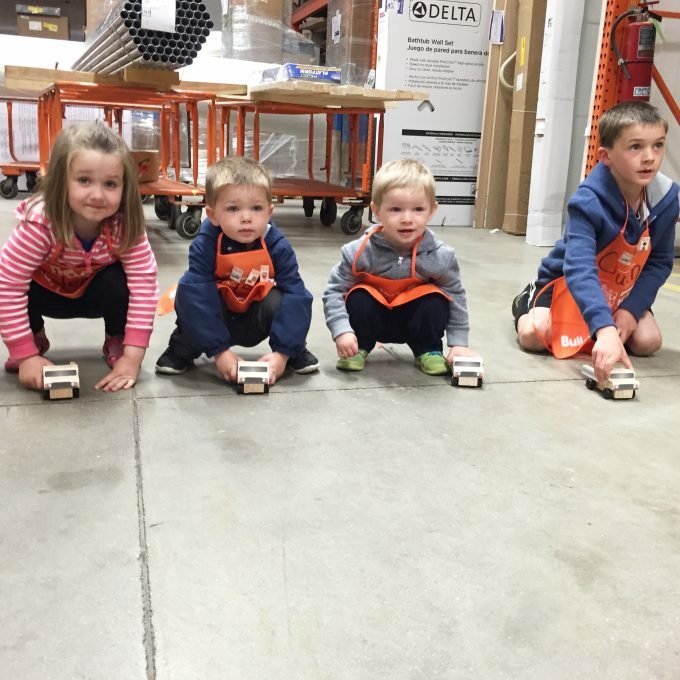 Make sure you check out how the rest of our blogger friends pulled off their own DIY and be sure to try your hand at a DIY Workshop by checking out the DIY Workshop registration page.